Teviar's mom says he should have been paid more for his role in this viral video. Luke Montgomery is used to controversy. So when he heard people were taking to the streets in Ferguson to protest the killing of an unarmed black teen named Michael Brown, he loaded his team in the car and drove from Ohio to St. Louis to shoot a video for his anti-racism t-shirt campaign: "Racism is not over, but I'm over racism." The plan? 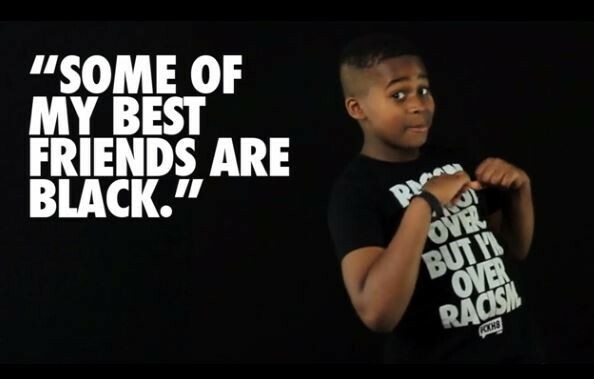 Film black children from Ferguson repeating statistics about racial disparities and promise to donate $5 from every $13 shirt sale to charity. Out of the mouths of babes would come unsettling-but-necessary truths and, if everything went right, some profits. "We could have cast this anywhere," Montgomery tells Daily RFT. "We really wanted it to emanate from this new ground zero of this discussion on race. 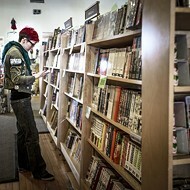 We wanted it to have the soul coming from this place." Montgomery's team went to the site of Brown's death, now fashioned into a semi-permanent memorial with teddy bears, balloons, photos and other remembrances from pilgrims to the site. 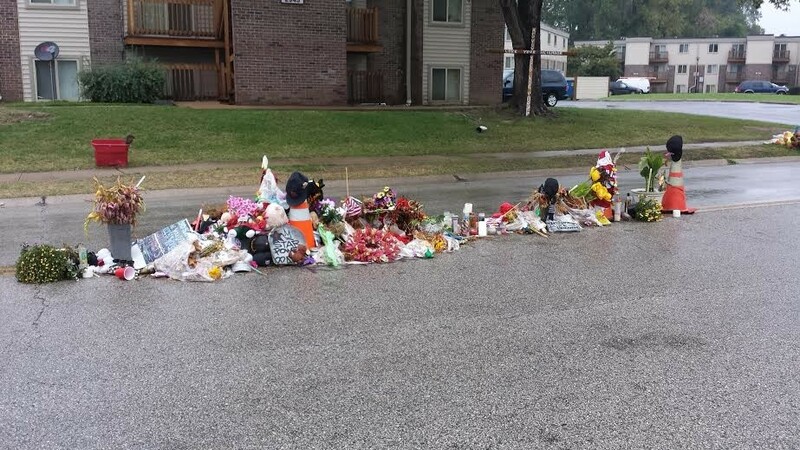 The ever-evolving memorial where Michael Brown was shot and killed. "It's emotional," Montgomery says of the memorial on Canfield Drive, near Brown's grandmother's apartment. "Everyone who comes there feels a sense of injustice, a sense of frustration." FCKH8 held auditions for their commercial in front of the memorial, filming kids on an iPad after getting permission from parents. 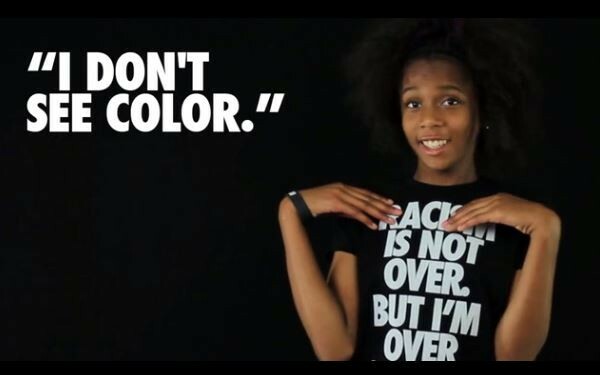 Then Montgomery's team selected a few stand-outs, promised to pay them a stipend, shot footage at the Crowne Plaza Hotel and released the video, "Hey White People: A Kinda Awkward Note to America by #Ferguson Kids by FCKH8.com." But as the video got picked up by BET, Huffington Post Black Voices and other media sites, one blog decided to call out FCKH8 for exploiting children and Brown's death for a profit. In a Colorlines blog post called "This is the T-Shirt Company Making Money Off of Ferguson," Aura Bogado takes FCKH8 to task, accusing the company of hiring children from outside Ferguson, not paying them and not being upfront about where they were donating the money. "There's an entire economy around black death -- and this ad campaign illustrates it all too well," Bogado writes. 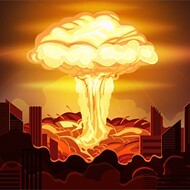 "Ironically, this economy's profit margins depend on upholding the very racism this video claims to want to eliminate. So there you have it, folks. Everything, it seems, can distilled, packaged, bought and sold -- including racism." To check on whether children in the commercial were exploited, Daily RFT reached out to Diana Augustine, a Ferguson native and the mother of two children in the video, Terniya, 12, and Teviar, 10. Augustine tells Daily RFT the FCKH8 team approached her at the Brown memorial and said they'd pay a stipend if her children were selected for the commercial. "He went into detail explaining what the video was about," Augustine tells Daily RFT. "I asked him what kind of controversy would it cause, and he was like, 'Well, you know you're going to get your good and bad, but it's going to be good exposure.' I said, 'Well, these kids of mine are pretty talented, so give them a try.'" Terniya and Teviar give outstanding performances in the viral video. Teviar offers a scathing imitation of defensive whites ("Some of my best friends are black! "), and Terniya's improvised, fierce snap gives power to the video's end. But now that the video is a success, Augustine says, her kids deserve more than the stipend they were paid. "I think they should give back to the parents," Augustine says. "I hate to put people down, but if I had known this video would go viral like it did...three shirts cover what they paid me. So that's not right." Augustine later clarified that her children were paid enough to buy four of FCKH8's anti-racism shirts each, the equivalent of about $50. Neither Augustine nor FCKH8 would confirm how much the children were paid. Daily RFT: Do you think FCKH8 is using your children to make money unfairly? Augustine: If they don't want to give back to the parents, yes. D: Even though they've already paid you? A: Not for what they made. Because I know some inside scoops about the t-shirts. They are bringing in a lot of money. Montgomery said he was surprised to hear Augustine wants more money. "To be honest, it makes me sad," he tells Daily RFT. "It hasn't even broken even in terms of production costs. We all kind of chipped in and drove there. I paid for gas money and the hotel out of my own pocket." FCKH8 has raised $6,000 for charity through shirt sales so far, donating $1,000 to the Mike Brown Memorial Fund and another $1,000 to the Crossroads Anti-Racism Organizing and Training. The company also plans to donate to the NAACP and the Urban League of Metropolitan St. Louis. "We are giving back to the Ferguson charities, that was our focus," Montgomery says. Montgomery says he's willing to talk to Augustine about more money, especially since he has plans for another video where children respond to the racist comments from the first video. Augustine says she'd consider letting her children do another video -- as long as they are paid fairly this time. She's not considering legal action. "I was just excited for my kids to be able to speak their voice, but maybe I should have asked for more," she says. "If they say no, then that's something that I have to deal with...It just taught me a lesson. I didn't know it was going to go viral. I think they maybe should have given them a bigger stipend." Augustine hopes the video will be a launching pad for her children, especially Terniya, who wants to be an actress and an activist. She says she knew the video was controversial but didn't realize Colorlines was accusing FCKH8 of producing a racist sham. "When I went to McCluer High School," the same school Brown attended his junior year, "which was fourteen years ago, it was a mixed school, so I have friends that are white and some that are black. So they (white friends) kind of feel offended, but (the video) really was not to offend anyone. It was just to let them know that racism still exists and it's something that needs to be addressed." Colorlines has since apologized for it's original blog post, acknowledging that FCKH8 did hire Ferguson children, pay them and publicly announce the charities they'll be donating to. "The questions we raised about the relationship between commerce and community politics with regard to race are important and legitimate, and we will continue to explore them generally on our screens," editors wrote in a correction on the post. Race Forward, the group that owns Colorlines, was originally one of the designated recipients but has declined any donations from the shirt sales.